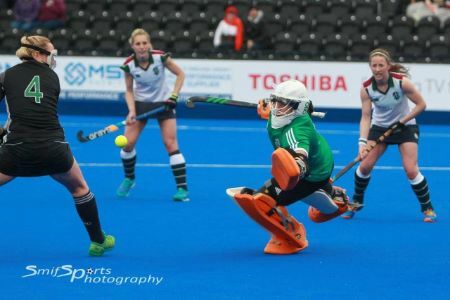 Playing- After playing through the junior age groups I progressed into the Welsh senior squad and received my first international cap in the summer of 2014. Since then I have gone on to receive 24 international appearances and competed at a variety of tournaments all over the world, including World League Round 2 in Kuala Lumpur, Malaysia and 2018 Commonwealth Games, Gold Coast, Australia. During my studies at Exeter, I competed for their hockey first team and during my last year we competed in the BUCS Cup finals, finishing second. After graduating I joined Buckingham Hockey Club, who in our first year gained promotion into Investec Premier League and then during the second season, as the newly promoted side, we finished in the top 4. I am now in my third season with them and we are aiming to match or improve on last season. Coaching- I began coaching whilst at Exeter University, coaching the University Ladies 6thTeam, and ISCA Hockey Club U14s and U16s both of who went on to compete in the National Club Finals held at Lee Valley. Since graduating I have coached in a variety of settings such as being a Hockey Specialist at St Edwards School in Oxford, for Fortitude (a goalkeeper specific company), Sport 101, Bucks County Goalkeepers, Buckingham Hockey Club U12s, Junior Development Centres and now with my present role at Stowe School. Best sporting moment (playing or coaching or both): Receiving my first cap against South Africa at the London Cup in Lee Valley. A close second is gaining promotion into premier league hockey in my first season with Buckingham Hockey Club. When not working I like to play hockey and tennis, socialise with friends and read sporting autobiographies.